Grace Martial Arts Fellowship began in 1990, went online with a website in 1995 and began publishing newsletters to the Christian martial arts community in 1998. Because of the quality of information found in those early newsletter articles and the fact they are no longer available online, we’ve decided to re-publish many of them in the coming weeks and months. Our hope is that a new generation of Christian martial artists will be blessed by the wisdom of those who were on the path before them. 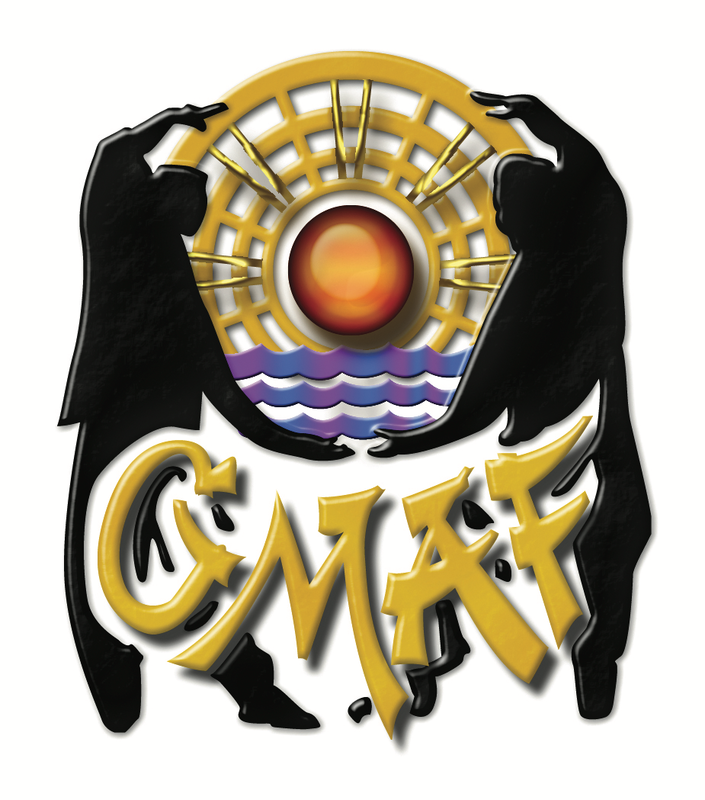 Welcome to the GMAF Newsletter! We pray it will encourage you in your Martial Arts and Outreach for Christ. One of the primary benefits of children, teens and adults studying martial arts with Christian instructors is walking the path with wise men and women. So many people today are walking in the wrong direction because they have become companions of fools. They will be destroyed unless they learn God’s Wisdom. WHAT’S CHRISTIAN ABOUT CHRISTIAN MARTIAL ARTS? As a Christian and a martial artist, I am often asked two questions regarding my martial arts study and my faith. From nonbelievers (those who do not subscribe to “Biblical Christianity”) I am asked how I reconcile the apparent conflict between martial arts training and Christ’s admonition to turn the other cheek. My Christian family, on the other hand, want to know how I handle the religious, philosophical, mystical, and metaphysical aspects of the art. The first question reveals the general misunderstanding of Christ’s teachings so common among nonbelievers. The second reveals a similar lack of understanding on the Christian’s part. Although the “turning the other cheek” question is raised most often by my non-Christian friends, it is just as misunderstood by my Christian brothers and sisters. Since Christians have the greater difficulty with these issues, I will address them from the Christian perspective using frequent biblical references and examples. I will begin with what was for me the tougher of the two questions. Kung-fu teaches that turning the other cheek to those whose ways of life are set in strength and violence is wrong. Such a passive attitude encourages lawlessness and injustice. There are two ways we can interpret the command to turn the other cheek. The first is to interpret the text literally, asserting that it means exactly what it says. This would impose a duty of nonresistance on all men in all circumstances. You cannot, however, require the literal acceptance of verse 38 without also requiring the same of the other verses in that chapter — such as verses 29 and 30. Verse 29 reads, “. . . if your right eye causes you to sin, pluck it out,” and verse 30 adds, “. . . if your right hand causes you sin, cut it off.” Taking these verses literally, without qualification, can quickly lead one to institutionalized confinement! No. This literal, unqualified interpretation seems untenable. The officer could have struck him anywhere, but a slap across the face is a common response to disrespectful speech. Assuming that Jesus was slapped across the face, we find no evidence of his voluntarily offering his other cheek for more. On the contrary, he asks why he deserved such unjust treatment. Clearly, Paul accepted no such injustice. This refutes the literal interpretation and supports the normal interpretation. The actions of Jesus and his apostle Paul indicate that there are times when the believer can and should resist evil and NOT offer the other cheek. Do these two accounts conflict? No. In the first account the Lord was telling his disciples that the time was coming when they would no longer receive hospitality and would have to provide for themselves including self- protection (the need for the sword). This does not conflict with John’s account, because there Jesus does not tell Peter to get rid of his sword, but to put it in its sheath. The sword was, and still is, necessary. There in the garden, however, it was being used counter to Christ’s purpose. On the basis of Christ’s teachings, is there really a conflict between Christian teaching and the study of martial arts? No. Is the Christian attitude toward physical violence to be a passive one? Again, the answer is no. Discussions about turning the other cheek focus on the question of Christian participation in martial arts in general. What about participation in Asian martial arts? Questions about how Christians handle the philosophical and religious aspects of the art usually focus on certain practices common to various traditional martial arts schools. However, before addressing specific questions, some background and history are necessary. We need to know what philosophical or religious aspects are inherent in Asian martial arts, why they are taught, and whether they are necessary for training. Today, a number of people devote their lives to martial arts study primarily for reasons of self-development. Through their practice of the martial arts, they seek to attain some glimpse of the “wisdom of the East” as set forth in the various philosophies of Taoism, Buddhism, and Zen. Karate- do, for example, means the way of karate. It is a journey that begins with the physical and ends with the spirit. The goal is to develop the spirit. How? Through physical karate training. This parallels the path of hatha-yoga, with its goal of self-purification through physical application. The incorporation of the contemplative, meditative, or philosophical aspects into the martial arts may have evolved as teachers began to see a need for morality in the art. As practitioners became increasingly capable of destruction, some form of control — some personal means of tempering physical conduct and actions — became necessary. Hence, moral codes like the Japanese code of bushido evolved. For some, then, the martial arts offer a way that they hope will provide them with the wisdom to understand both themselves and the often unintelligible world in which they live. What they seek is a philosophy of life, a code to live by, a discipline — in an otherwise undisciplined world. For the Christian, using martial arts study for spiritual self-development fails for two reasons. First, from a practical standpoint, there are a variety of other avenues available to the individual wishing to study Eastern culture, thought, or philosophy to formulate a life credo (and without having to break a sweat doing it, either). Second, and more importantly, Asian martial arts philosophy is deeply entwined in Eastern mysticism and religion. As such, it is incompatible with Christian beliefs. However the philosophical and religious aspects of the martial arts are not necessary for developing the physical skills the martial arts student is seeking. Target shooting is, for many, an enjoyable pastime, but it is not without its dangers. Awareness and care are necessary to prevent injury. The same is true of everything we do, be it driving a car, cooking, using power tools — even watching television. Martial arts are no different. Christians must be aware of the inherent dangers in the study of Eastern martial arts; but that does not necessarily mean abstinence from physical martial arts training. The Christian martial artist must remove the religious overtones that are frequently taught as part of Eastern martial arts. Instead, he should concentrate on skills that enhance mental concentration, improve sensitivity to differing degrees of threat, and increase awareness of the interaction between attitude and performance. This is learning the fine art of strategic thinking. Specifically, the question I am most often asked concerns the practice of meditation. What does the Christian do when asked to meditate? First, the believer need not back away from meditation. There is nothing inherently wrong with meditation. Scripture abounds with passages admonishing the believer to meditate on the Lord, meditate on his law, meditate on his promises, and meditate on his Word. Thus, when told to use class time to meditate, the Christian can do so. Not necessarily on what the instructor tells him to meditate on (if he tells him anything). Not with the aim of emptying his mind (as in Zen mushin) or looking within for some mystic power (such as centering in Transcendental Meditation), but purposefully and productively busying it focusing it outward and upward to the Creator God. Alternatively, if the Christian is not feeling particularly spiritual during karate class, he can meditate on the techniques he is learning. Because of its use by New Age groups, visualization has been given an undeserved bad reputation. But using imagination to train physical skills does not violate biblical principles. So the Christian martial artist can use meditation time to rehearse what you were learning; mentally practice; see yourself having a great workout. Again, use meditation to focus your mind and attention in a positive and productive way. Another question that arises from time to time refers to the practice of bowing. In many schools, everyone bows before entering or leaving the training area. This is done as a sign of respect for a place of learning. In most schools, the students and instructors bow to each other. In some schools, there is even bowing before the American flag (and sometimes before the flag of the country from which the art or the instructor immigrated as well). Finally, there are schools where it is customary to bow before a school shrine or altar. What are we as Christian martial artists to make of these customs? Historically, bowing has been used to demonstrate an attitude of respect, reverence, and submission. In Oriental culture it is common for people to prostrate themselves on the ground before kings and princes. Such customs were also prevalent among the Hebrews. However, bowing is just as frequently noticed in scripture as an act of religious homage. No mention is made of posture, so we have no clear instruction as to whether it is of any significance if someone bows with his face to the ground (a common Eastern practice) or simply bows from the waist. This issue is not addressed because it is unimportant. It is not the posture that counts but the purpose. This theme is repeated throughout scripture, so it is clear that bowing as an act of religious or spiritual homage is prohibited. Again, Naaman, was not worshiping this Syrian deity; his master was. He was not bowing down before Rimmon. He was only providing physical support for his master. However, Naaman found even this association was uncomfortable. What seems clear from all of this is that the act of bowing itself is not the problem. Rather, it is the purpose of such an act. Biblically, bowing before lawful authority and spiritual leaders (like the kings and prophets) was an accepted practice. For that reason alone I think one would be hard pressed to convince an Englishman he should not bow before his monarch. As for bowing before a school altar or shrine, if it is done as an act of obeisance or homage to some spiritual leader or guide, then for the Christian, the practice is prohibited and he must excuse himself from participation. If that is not possible (the bowing is required), then he should seek instruction elsewhere. There are many good schools where a Christian can train without having to involve himself in such practice. Suppose that bowing before the school shrine is simply a cultural tradition, a sign of respect for a place of learning, or just recognition of the efforts of past teachers — without any religious or spiritual significance. Is that all right? Every believer must answer that question for himself. The apostle Paul, in I Corinthians, Chapter 10, verse 23, makes it clear that “all things are lawful,” but at the same time, he says, all things are not “expedient.” There may be cultural standards to consider. For example, in our culture, drinking alcoholic beverages of any kind is generally frowned upon by many bible- believing Christians. However, our Christian brothers in Germany would not consider ordering a soft drink or iced tea with their meals. The Christian, then, must balance biblical truth with social standards, asking himself: Is it lawful? Is it expedient? If, in clear conscience before God, you can answer both of those questions affirmatively, then go ahead and participate. In our school the only bowing we do is a type of mutual salute to begin and end our classes. It is not a bow of submission, obeisance, or homage. Rather, it is like an officer returning the salute of an enlisted man. With the words “Attention” and “Salute,” the teacher shows his respect for the students — they honor him by choosing to study and train with him. The students, in return, show their respect for the teacher as a worthy instructor and fellow student. It is, quite simply, mutual respect. Finally, those who would tell us to separate ourselves from the study of Asian martial arts because of the general religious influences and overtones inherent there would do well to consider Christmas. Christmas is not held on Christ’s birthday, but on the birthday of the sun. (December 25 was the first day after the winter solstice that the ancients could tell the days were getting longer.) The Christmas tree, the boughs of holly, the Christmas wreath, and the Yule log are all pagan traditions (and these are only a few). With that in mind, should not our response to the Christmas celebration likewise be abstention? No. As with everything we do in life, awareness and understanding are the keys. The study and practice of martial arts, including Asian martial arts, offer the discerning believer an enjoyable alternative to conventional, and often boring, exercise programs. Further, they are a practical means of providing security for family, self, and home. If they are approached as outlined above, I find nothing in them that conflicts with biblical truth. 1. While the scope of this paper is limited to addressing the question of how a Christian reconciles the biblical principle of “turning the other cheek” with participation in the martial arts, the answers given here have direct bearing on resolution of the primary issue and, to some degree, the satellite issues as well. 2. C. S. Lewis, The Weight of Glory and Other Addresses. (New York: Macmillan Publishing Co., Inc. 1980), 49-50. 3. The fact that Christ was capable of resisting evil is important. A man of peace is not one who is incapable of resisting evil. Claiming to be a man of peace when incapable of resisting evil is merely compliance. Accepting evil, on the other hand, when one is fully capable of resisting or returning it is the true mark of a man of peace. 4. Moody Monthly magazine, December 1986.
soul.” (Genesis 2:7) God created all things with the Breath of His Mouth. Within His Breath existed Life because God is Life. God formed the human being from the dust of the ground. Christ, Who is Life, breathed into the form’s nostrils the “Breath of Life” and the form became a living soul. It became Adam, the first human being. Job wrote “The spirit of God hath made me, and the breath of the Almighty hath given me life.” (Job 33:4) We are alive today because God breathed LIFE into Adam thousands of years ago. Our original life and continued life depends on the “Breath of Life” God breathed into Adam. That original “Breath of Life” of God sustains our life now. It is our original Chi. It is our source of life, power, energy and health. Consider these things as you move and breathe during your martial workouts. We have a great Gift … THE BREATH OF LIFE! Last month we said we would share some ideas about how to react to the variety of challenges we’ll face as Christian martial artists. We have seen from the Bible that Christ is a powerful warrior (May newsletter). We have also seen that Christ is a Loving Savior filled with compassion. Christian martial artists have the opportunity to be “like Christ” by showing compassion and power in defending the innocent and doing what is “right.” Christ has the “Power” to destroy the world and anyone in it at any time He chooses. However, our Lord is also Loving, Gracious, Forgiving and Kind. God is Perfect Balance in all things. He is the True Grand Ultimate. He uses His Power with Wisdom to show Compassion. We can learn so much from Him about how to use martial abilities in our daily lives. Many martial arts systems have a sequential use of force. We pray for God’s Wisdom as we face threat and danger. Here is one example of a sequential use of force. We would like to hear from you about how to include compassion as Christian martial artists. The process of sequential use of force is based on Threat Levels. Our first defense is to avoid threat or conflict. That can include not going to places where conflict may occur. If we are faced with conflict, we can speak softly and attempt to talk our way out of the threat. If soft words do not calm the situation, the Christian martial artist can verbally command an attacker to stop. Once you have their attention, you may be able to use soft words to turn away their wrath. If a verbal command does not work, you can face your attacker and take a defensive posture. That may be enough to stop the conflict. If the attacker is in your third zone (several yards from you) and continues to come at you, you could move quickly in the opposite direction, but keep your eye on what the attacker is doing. If he runs after you, you may have to turn and move up in the sequential use of force. If the attacker moves rapidly into your second zone (3-5 feet from you), you may have to be ready to move quickly to defend against the attack. If the attacker enters your first zone (close enough to reach you with a grab, punch or kick), you may have to perform an escape or blocking technique followed by a controlling movement or counter strike or kick. Sidestepping or blocking an attack followed by a stunning technique (punch, strike, kick) may give you the opportunity to leave your attacker behind. You are showing compassion to your attacker by leaving and not allowing the attack to escalate. You can also place the attacker in a physical restraint until they give up. If Stun or Restraint techniques do not stop the conflict and you are not able to leave, you may have to increase the sequential use of force by temporarily incapacitating your attacker. That may include a knockout punch, strike, kick, choke, etc. Again, you are showing compassion by not causing the attacker permanent injury. If your attacker means you great bodily harm and you are not able to stop the conflict in any other way, a Christian martial artist may have to make the difficult decision to cause the attacker great bodily harm first. That is an unfortunate circumstance that will cause the attacker and the attacked permanent problems (physical, mental and emotional in addition to possible legal problems). Causing permanent injury or death is the last thing a Christian martial artist wants to do. I came to know the Lord through the efforts of my mom. She would read me the Bible as a child, even though I had no clue as to what it meant. Whenever she asked me if I understood, I would just say yes to try and get her to stop reading to me. While I didn’t really enjoy the reading, it planted an awareness of God in me at a very early age. I knew He was there, it just never crossed my mind that He wanted to know me– and that I could know Him. It wasn’t until I was in the sixth grade that things started to happen. Things that would bring me to a personal and rewarding relationship with His Son, Jesus Christ. My friend Tom Price invited me to go with him to a surf club meeting. What he neglected to say was that it was also a Bible study. It was the Disciples Surf Club, and it met in the home of a women named Barbara Plourd. The club members were surfer and non-surfer types from all walks of life who had committed their lives to Jesus. Every Saturday they departed from Thousand Oaks, Calif,(where I lived at the time) and went surfing in the Ventura County region. The surfing was a total blast! I went with Tom to several meetings, and for the most part thought that these people were a bunch of kooks. However, the surfing was fun, and I found myself compelled to go back for reasons that I could not fully explain at the time. One night after Barbara finished her Bible presentation, she asked if there was anyone in the room who wanted to accept Jesus Christ as his Lord and Savior. All heads were bowed in prayer, and I kept thinking, “These people are crazy!” — yet my hand went up! Something inside my heart kept saying this was the right thing to do, but my mind was very confused. Someone saw my hand raised and came over to pray with me. That was the night I met Jesus. He came into my heart, and I have never been the same since. In my senior year at Thousand Oaks High School, around May of 1972, I clearly heard the Lord’s voice speak to me. He said, ” You have been messing around long enough, and I want you back. You need to decide what you’re going to do.” I didn’t fall on my knees and have some dramatic repentance experience. I spent the next two weeks thinking about my life and what I wanted to do with it. The inescapable reality was that I wanted to know God. All the things that I had been involved with had led me to heartache and pain. My parents had divorced, and my family now consisted of just me and my dad. Loneliness is so overwhelming, yet God in His great love for us is always there. I knew this and needed it. So one night in my bedroom, I rededicated my life to Jesus. His Spirit filled my room with His presence, and that was when my life was completely and forever changed. It has been a long process of change , but it has been more than worth it. The Lord has given me a wonderful life. My wife and I have been married for more than 21 years. I have three terrific children. I live in one of the most beautiful places on earth, Colorado. I can stand on the deck of my house and see the Rocky Mountains. There have been plenty of trials too. I have been unemployed as an electrician and have been in and out of the ministry due to people conflicts. (I have never been immoral). The church that we started here in Castle Rock went belly up four years later. All of my Pastor friends left me when I had to close the church. My son almost died when he was 3 years old. There have been times when I wondered if life could ever be “good” again. This thing I have found true. The Lord will never leave us , or forsake us. He has always been there in my times of trouble. This one thing is clear, Jesus is always faithful – even when we are not. When all others fail, Jesus is still there. It is not my intention to claim that since I met Jesus I have had no problems or that my life is always a breeze. Neither do I intend to say that my life has been awful. The point of this message is to communicate that my life is just like yours — and you, too, can find the peace of God that has so enriched my life. God is so good! May you find the joy of the Lord. Let His joy be your strength as you walk down your path of life. Taking God’s Grace to the World!